Finding a work-at-home career involves carefully assessing your talents and resources as well as closely evaluating the companies you might choose to work for. Many scam businesses are on the prowl for individuals looking for a career at home. One of the best options to ensure your safety is to check for the backing of the Better Business Bureau. This agency protects the interests of consumers and is a watchdog group that alerts the public to potential scam artists. Call center companies offer employees the advantages of working at home under the umbrella of a larger company. Workers may do sales calls, make or set appointments, work as roadside assistance operators, virtual assistants or insurance agents. Workers often set their own hours and schedules. 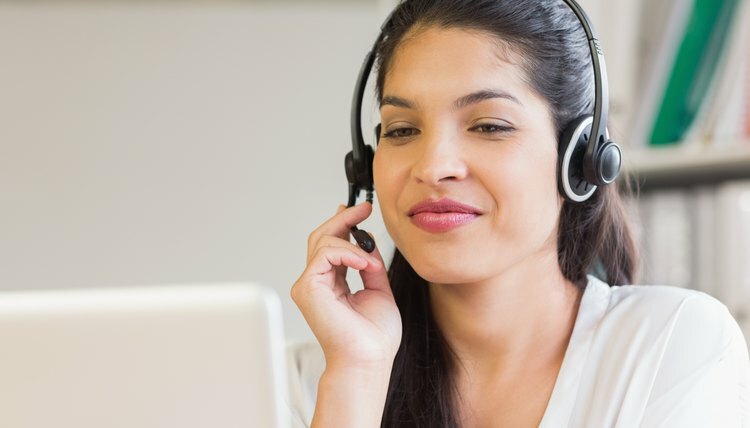 Many call center companies receive high marks from the BBB, and among the bureau-approved companies are Alpine Access, Call Center Careers, LiveOps and MAP Communications. These companies, however, are not the only options among BBB-approved call centers. If you have a talent for some type of craft, you may be able to start a home business by selling online through the right sites. Some choices that are BBB approved are eBay and Etsy. EBay auctions are widely known, which is a big plus with listing your offerings, and the site attracts a large number of people. Etsy, however, boasts lower listing prices and is dedicated solely to selling crafts and homemade or vintage goods. Both BBB-approved sites lend assurance that you are not with a fly-by-night outfit. If you have a degree or are pursuing one in higher education, you might check into work-at-home opportunities with a tutoring company. Some companies cater to grade or high school students; others may work with students up to their freshman year in college. Some require that their tutors have a teaching certificate, while others require a bachelor's or graduate degree. BBB-endorsed companies include Universalclass, tutor, and Esylvan-online-learning-centers. Another work-at-home option endorsed by the Better Business Bureau is FlexJobs. This site lists a variety of partial or full-time work-at-home jobs, including data entry, transcription, writing and other creative types of work. The site, which the BBB rates as A+, offers helpful articles and lets you post your resume for potential employers. Better Business Bureau: "Are you Looking to Become a Mompreneur?" Joy, Katlyn. "Home Businesses That Are BBB Approved." , https://careertrend.com/info-12016811-home-businesses-bbb-approved.html. 05 July 2017.